For more than eight centuries, through revolution, occupation and liberation, the cold stone walls of Notre Dame have solidly stood as a reminder that the days that blend into history come and go, and that history itself is a lesson of the ages. And now, after that beautiful landmark’s stately profile was so utterly ravaged in fire on Monday evening, the challenge of raising its spire and vaulted roofs has already begun. Notwithstanding our beliefs and convictions, the flames that razed the cathedral have seared global consciousness and scorched millions of hearts. There is a universal sadness at this loss of history and landmark of the ages. Hundreds of millions have already been pledged to raise it once more, and we wholly concur with the sentiment of French President Emmanuel Macros to rebuild it quickly. 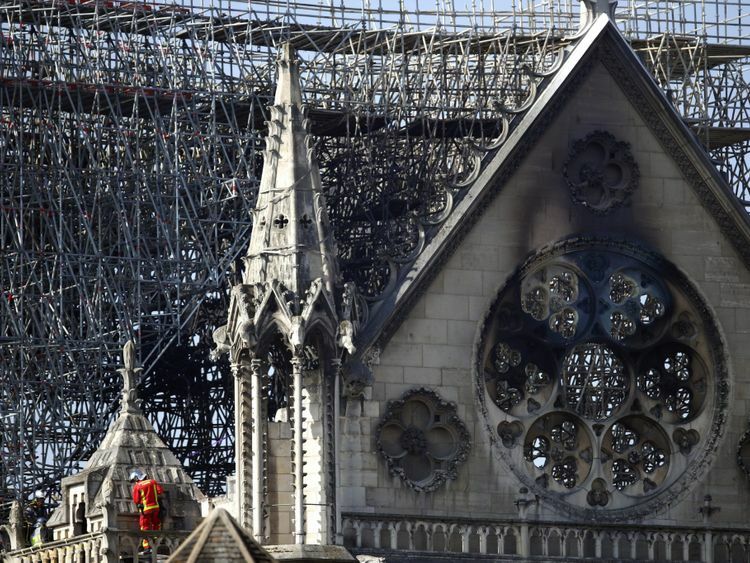 The history of France, the heritage of Paris, the legacy of Notre Dame’s abbots who consecrated the cornerstones is far more than the stones and medieval mortar, the old oaks hewn from ancient forests, the ornate, the crafted, the gilded. But Notre Dame too stands at the centre of Paris, on an island washed by the ripples of history and the confluence of events. Kings and queens, saints and sinners, princes and pretenders have all walked in its hallowed precincts. It has withstood reformation, the revolutions and revolts that shaped civil rights and legal concepts. It has withstood tyranny and occupation, celebrated the joys and pains for great wars, the liberation of the French nation from the yoke of Nazi rule. Across Europe there are many such medieval cathedrals. They too have been scorched by the fires of time and the bombs of man. But they rose again and stand as permanent reminders that our time here is but temporary. We are the current curators of our civilisation, the keepers of our cities, the stewards of our planet. And those are duties that apply not just to paintings and art, the icons and relics, but to the air we breathe, the forests we hew, the fields we till, the rivers and oceans we fish. There is a natural history and a human history — both so irrevocably intertwined since man first lit a fire or shaped a stone into a tool. Yes, Notre Dame stands as a monument to human progress. It will be rebuilt, restored and returned to glory. And we should show the same stony resolve to restore our other most precious preserves.